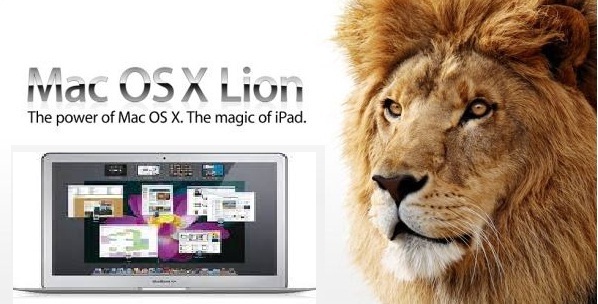 Apple has came up with the most advanced yet Mac OS X named as Lion which is a 7th Edition released in last 10 years. Inherited the name of Jungle Kings like Cheetah, Puma, Jaguar, Panther, Tiger, Leopard & lightest ever SnowLeopard – This time they came up with the mightiest animals name – Lion. And I must say – The name is totally worth considering the quality of product, Performance & Usability. After using OS X Lion for a while, here is a quick review of the overall Features, Applications & Performances Mac OS X Lion is offering. Note: Following is the feature wise separation of the review discussed each one of it separately. Mac OSx Lion offers its features in than 22 languages, which helps them reaching the wider user base in their local languages. – Virus and Malware protection. – Fire vault 2 for keeping personal data safe and secure. Single interface named Mission control , is holding these three together. – Move Application between desktops. – Jump to a given desktop. As you know OS X is based on Unix kernel & sometimes it causes panic sue to number of causes. Autosave will help to recall previous work done and at the times of panic of kernel. So, from now on you wont miss the hard work for any reasons. This is the one of the best feature I liked in Lion – as in previous version Mac OS 10.6.8- Dock used to interrupt a lot while working. so full screen apps will give you the best view and best User Interface to work. Launch pad gives you an instant access to all of your applications – as it’s icon is located on the dock itself. By using launchpad – We can hunt any of application easily with live search. I would personally like to thank Apple Developers for such a sweat determination & hard work they have showed up in with each and every features & performances improved in OS X 10.7 Lion. Address book, Automation, Calculator, Chess, Dashboard, Dictionary, DVD Player, Mail, iCal, iChat, Image capture, iTunes, Launch pad, Face time, Photo booth, Mission control, Preview, Quick time player, Safari, Stickies, System preference, Text edit, Time machine.